I'm writing you from the beautiful blue ridge mountains of western North Carolina where my wife, Grace, and I purchased a home last month in a tiny town called Egypt, about 40 minutes north of Asheville. I am working as a Clinical Internship Supervisor at Daoist Traditions College of Chinese Medical Arts in Asheville and also running a small community acupuncture practice in a beautiful empty room at the Echoview Fiber Mill where my wife is a manager. With our new home we were able to purchase 1 acre which is surrounded by an additional 47 acres of a sloping forest valley the people we bought from still own. They want to sell it to us and we hope to buy it so we can build small cabins for people to stay at for healing, self-cultivation and kung fu spiritual retreats in nature, so we are putting all our savings towards that in the next few years so they don't sell it to developers or have it logged. Now that we know where we are living I am starting my next endeavor which is to open a teaching and healing space for meditation, Qigong, tai chi, kung fu, acupuncture and herbal medicine! We hope to build big fresh buildings for that on our land at some point down the road, but are going to try to start with renovating the big garage we currently have into a teaching and treatment space! This is where you can come in and I am going to ask for your help! At the encouragement of family and friends I decided to start a Go Fund Me campaign on Sep. 25th to raise funds for renovating our garage into a home base for teaching and providing Traditional Chinese Medicine healthcare in a beautiful, rural nature setting! You can read about all the details and see photos by following the link to my Go Fund Me Campaign page! Even a few dollars will help to expedite this process and get this space opened as soon as possible to start taking new patients and students on a path of healing and self-transformation! Please also share the link with anyone you know who might like to see this manifest! I very often reflect on my time working at All In and Spring Lotus and the many wonderful individuals I met there who put their trust and hopes for healing and wellbeing in my hands. I do my best to bring the knowledge and wisdom I gained from my experience with everyone there to the interns I supervise and patients I treat here. Even if you can't afford a donation to my cause, if you ever recieved a treatment from me or attended one of my qigong classes at All In, a testimonial of your experience that I could post on my website would mean the world to me as I endeavor into this next chapter of my life, but really no pressure for that either... just follow your heart! I would also love to hear for any and all of you about how you are doing! Thank you for your time and consideration, and I do hope after I develop my roots here some of you might consider visiting the mountain sanctuary I build, and I will also look forward to the possibility of visiting y'all back in the Ocean State to give classes and/or treatments! Wishing you all continuous healing and peace on your path! Support and learn more about the mission and see photos here. In Chinese medicine winter is related to the elemental phase of water. In the body, water and thus winter relate to the Kidney and Urinary Bladder organ systems. The energy of water is nourishing, holding and sinking. The transition from fall to winter is marked by the continuing decline of yang energy (the sun), and rise of yin energy (cold, darkness). The crisp, cool days of autumn lead to the wet and cold days of winter and beg us all to slow and steady our pace, and move closer to a state of rest and hibernation, making use of the stored up resources gathered from the year’s labor during this time of environmental scarcity. Energetically this is the time of year for turning one’s awareness inward and holding to only what is essential. Water teaches us to find stillness and level. It shows us the path of least resistance and acceptance of all things. It is also that aspect of nature that represents mystery and the unknown. Still to this day we know more about the surface of the moon and some planets than we do about the depths of our own vast oceans. Water is regarded as the substance which nourishes life, and allows for growth and change if we can properly harness and channel it. This is the ideal time of year to turn your attention inward and spend time focusing on things that give you a sense of wonder, excitement and mystery. The organs of the water element, the Kidney and Urinary Bladder are crucial to our processing of this most essential life nourishing element, and on further inspection, they reveal much more. As the most yin organ in the body, the Kidneys (including the adrenal glands) are viewed in a way as these little beans or seeds buried away deep within our lower torso, and just as beans and seeds contain the genetic material that with some water and light can create a beautiful flowering plant, the Kidneys are thought to contain the body's most vital life nourishing essence, in Chinese called jing. Jing is understood to be the source of the body's physicality itself, and the seat of all our physical potential for growth, maturation and reproduction in this life, as influenced and handed down from the lives of our ancestors. Jing is like the oil in the lamp, and we all know what happens when the oil runs out. This is why there is a huge emphasis in Chinese medicine in protecting the energy of the Kidneys and conserving ones jing-essence. Someone with strong jing, as passed down from their ancestors will have a robust constitution, rarely get sick and deal with illness easily, and have a strong healthy body. This however is just part of the equation, as even the most robust individual can deplete their essence and wither away before their time, and likewise those with weaker constitutions can follow the advice of Chinese medicine sages to boost themselves up for a long and healthy life. As such, many acupuncture treatments, herbal medicines, and exercises have been developed to facilitate this process of conserving and strengthening one’s jing-essence. The Urinary Bladder, as the yang water element organ system helps us to move the waters of life in order to both excrete out impurities and waste and to nourish all the other organs and parts of the body with the Kidneys jing-essence. It does so in conjunction with the Lungs and San Jiao (Triple Heater) and their related meridian systems and connections to the other organs. To support the health of these organs it is important we adjust some of our daily activity to align with the shift in the season. The sages of Chinese medicine suggest that we follow the sun’s rise and fall to direct us in our level of activity, and during this darkest time of year, for the average person that means more time sleeping and resting and less time doing, working and exercising (don’t worry, you get to do those in spring and summer when it’s warm again!). Winter is not the time of year to be sweating. It is the time of year to hold onto your resources so you can make it to spring. These days we have the crutches of modern technology which allow us to do all kinds of activities that in the past we could not. Our bodies however, as extensions of nature, have not had the time to adapt and evolve to our new ways of living, and in the clinic we see many chronic issues that could be avoided or resolved if only people would live more closely with the seasons that rule their environment, and governed the evolution of our ancestors. One of the most important traditional ways to conserve one’s jing-essence is to practice sexual temperance, as the reproductive fluids are seen as a direct emanation of one's jing-essence, and any expenditure is seen as just pouring out a bit of that oil. Now you may say, fine, I’ll just pour more in the lamp, but unfortunately time has shown it’s not quite that simple. Indeed, many doctors of Chinese medicine believe it is impossible to “refill” the jing at all. Even those who believe it is possible to restore one's jing-essence maintain it is a difficult process; your body must be in peak condition to successfully extract the essence of the foods and liquids you are consuming in order to consolidate them back to the Kidney jing. This is why we believe it is very important to conserve it in the first place through healthy lifestyle habits such as resting when you are tired, not taking too much caffeine or stimulants (which kick your Kidneys and adrenals to burn off some jing), consuming seasonally appropriate foods and drinks at proper times, and practicing specific mind-body exercises (known in Chinese as qigong). It should be noted that the decline of jing is natural with age, and as such, many of the signs of aging are a direct cause of the waning of one’s jing. Weakening and pain of the knees and lower back, loss of hearing and tinnitus, drying of the skin and thinning and graying of hair are all signs of weakening jing, but with modest lifestyle habits, nourishing herbs, foods and exercise (and of course regular acupuncture treatments ;) ), these symptoms can be delayed or avoided altogether. In Chinese medicine each of the internal organs is said to be adversely affected by a particular climatic factor. For the water element organs, that climatic factor is cold. We all know the basis for life is a balance of heat and moisture. Cold constricts, slows down and numbs. It is the antithesis of life. In Chinese medicine there are few superlatives, but generally we all agree cold should always be avoided if you would like to live a long and healthy life free of chronic illnesses. No cold/iced drinks, no cold packs on muscles, and not too much raw cold foods - especially in winter. To help keep the Kidneys warm and functioning at peak capacity in the old days, a scarf would be tied around the waist at the level of the kidneys to keep them warm, and many Chinese medicine adherents continue this practice in modern days during the winter. It is also a good idea to continue to keep the wind gates covered through the winter. Read the Autumn Wellness blog post below for more on the wind gates. In the old days, in winter we would be eating whatever has the capacity to be stored away without rotting. These days we continue eating whatever we fancy as if it’s Labor Day all year long. Winter foods include many of the same foods as fall. Seeds, nuts, mushrooms, squashes, roots and dried fruits are all great winter foods. The type of cooking related to the water element and most effective at nourishing you in the winter is the long boil or stew. In this method of cooking you have the capacity to get as many nutrients as possible out of every available scrap of food. This is not something most of us have to worry about today, but certainly some of us do. Soup is also the easiest type of food for your digestive system to metabolize as much of the work of breaking down your food has already been done for you, giving your body a break during the time of year it wants to conserve as much energy as possible. Root veggies - carrots, beets, sweet potatoes, etc. Sit comfortably with your spine straight and shoulders relaxed. Close your eyes most of the way, and gaze toward the tip of your nose with a soft focus. Become more aware of your breathing and where your body moves with each inhale and exhale. Gradually let your breath become slow, smooth, soft, fine and even through your nose. Focus on the sensation of its movement through your respiratory tract, filling your lungs, and moving your diaphragm, allowing it to fully descend with each inhale, letting the belly expand and contract with each breath. Paying close attention to the lower back, see if you can feel your breath moving the lower back in the area of the Kidneys. Next, visualize the air you inhale and exhale as a mysterious dark blue/black light that descends through your lungs to fill your kidneys with each inhalation. When you exhale and your belly contracts visualize that light condensing into your kidneys, nourishing and strengthening your jing-essence. Practice can be for as long as you like. Winter is an excellent time to begin or go deeper with a qigong practice. As the seasonal energy begs us to slow down and do less intense exercise, practicing qigong is a great way to keep fit and give the Kidneys the energy and gentle stimulation they need to thrive this time of year. Qigong improves circulation and boosts immunity while keeping your muscles toned and internal organs well regulated. In winter, avoid practicing qigong in windy or cold places or while you are sweating. Here is a qigong to practice specifically to support the Kidneys. Stand with your feet shoulder width apart, with thumbs and index fingers touching forming an upside down triangle, the thumbs at the level of the navel. Allow your tailbone to sink down and tuck under slightly, so you feel like you are going to sit down. Stand like this for a short while and focus on your breathing, and the area of your lower abdomen, outlined by the triangle. Allow your diaphragm to fully descend with each breath, meaning as you inhale, let your abdominal muscles relax and your belly “fill with the breath” at least 9 times, or as long as you like. Next, bring your awareness to the bottoms of your feet, and as you exhale imagine a stream of energy descending from your belly down the insides of your legs to the bottom of the feet, and visualize it rooting into the earth. As you inhale, contract your toes, and perineum to induce the energy up as you visualize a stream of qi coursing up those roots from the ground into your legs, then your belly and your kidneys. Exhale, and send the energy down, inhale draw it up in the same manner. Repeat as many times and as often as you like. Finish by focusing on your belly for a few moments and reflecting on how you feel different. There is only 1 primary channel acupuncture point on the bottom of the foot, and it belongs to the Kidneys - a point called the bubbling spring. This is where, according to Chinese medicine, humans energetically root and draw yin energy from the earth, and in qigong and tai chi practice a lot of emphasis is placed on exercises such as the one outlined above to enhance bubbling spring’s functions and ability to continually re-energize the Kidneys. A great passive way to do this is hot foot soaks. I recommend dropping in some cinnamon bark, fresh ginger, walnuts, goji berries, ground sesame seeds, honey and turmeric with Epsom salt and letting your feet soak just until they begin to prune. This will help to loosen and relax the muscles, tendons and ligaments of the whole body, but especially the legs, low back and neck, nourish and revitalize the kidneys and gently draw out toxins from the body. Enjoy! Slow down - it's cold outside (or at least it ought to be…). Practice qigong instead of drinking coffee and taking stimulants. Avoid cold. Wear a kidney wrap and cover your wind gates. Explore your passions and things that give you a sense of wonder and mystery to strengthen the Kidneys jing-essence. In Chi nese medicine autumn is related to the metal element and the Lungs and Large Intestine organ systems. The energy of metal is consolidating, refining, and purifying. 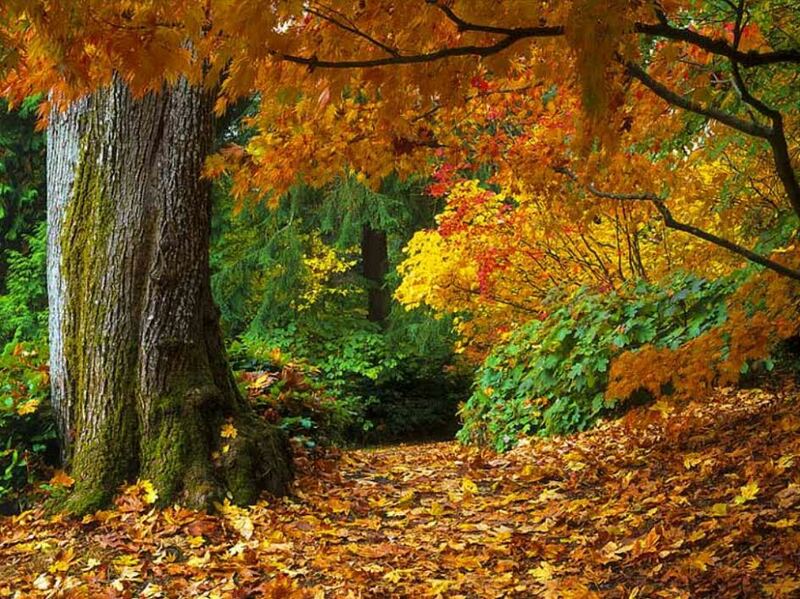 In fall, the splendor of summer begins to recede into hibernation once again. 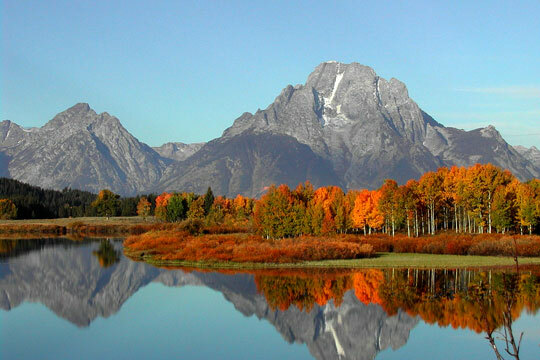 This is the energy of the most yang season reaching its peak, and then reverting back to yin- autumn and winter. For animals and humans, the end of summer is a time of gathering up resources and storing them away as subsistence for the winter. After this final rush of activity, autumn invites us to slow down and enjoy the fruits of spring and summer's activity. Metal and autumn represent the decline and ending of a cycle that inevitably comes after energy has reached its state of maximum expansion and activity. With this comes the reaping and rewards (or not) as the end result of a lot of work and effort. Metal, or gold, as the Chinese word “jin” could also be translated, represents an energetic cycle coming to its highest level of refinement, which also means inevitably its subsequent decline. Metal is the golden hour at sunset, the golden years of life, the foliage on New England Mountains in mid-October. It is the beautiful glory of energy having met its highest potential, finally coming to rest. The organs of the metal element, the Lungs and Large Intestine invite us to take a deep breath, slow down, and let go. To support their health, it is important that we adjust some of our daily activity to align with the shift in the season. As the late nights and early mornings of the summer come to a close, the sages of Chinese medicine suggest that people’s sleep schedule follows the natural rhythm- going to bed a little earlier, and waking up a little later. Metal allows for reflection and with that, introspection. 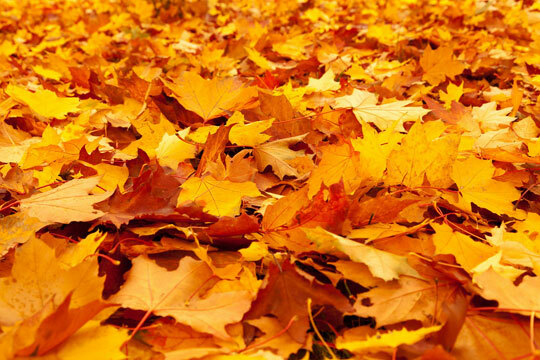 Autumn is the time to examine ourselves and our past, and have the clarity and decisiveness to embrace certain aspects of life we find enriching, and let go of aspects that we feel are negative or detrimental. This can refer to lifestyle habits, relationships, thinking patterns, etc. Autumn is the season of reflection and purification so that only the most vital components of life demand energy and nourishment during the scarcity of winter. This process of introspection can be accomplished through meditation, journaling, or any other method that gives you the time and space to reflect inward. As the seasons shift on the winds of change outside, so too does the physiology of your body change to adapt to the season on the inside. With less yang qi available from the prevalent seasonal factors in autumn, your organs are ready to take a break too, especially the lungs which worked very hard to keep you well ventilated through the heat of summer. In Chinese medicine, we understand that each season comes with predominant climatic factors that tend to have a major impact on specific organs. Coming from the heat of summer which can adversely affect the Heart and Small Intestine, autumn is considered to have a dry, cool energy, which most readily damages the Lungs and Large Intestine. As the only Zang (yin organ) with a direct interface with the external environment, the Lungs are seen as particularly vulnerable from the invasion of external pathogenic factors. Too much physical work or exercise in the autumn will stress, overuse and tax the Lungs, making you much more vulnerable to catching a cold, and weaken all the other functions of the Lungs. According to Chinese medicine theory, you should particularly avoid excessive exercise that would make you sweat or become short of breath in the autumn. In doing so, you are weakening the body's Lung qi and injuring the fluids through sweating. In Chinese medicine, fluids are seen as the basis for qi. As fluids enter the Stomach the heat there causes that fluid to “steam” up to the Lungs which are seen in Chinese medicine as energetically responsible for irrigating this heat and moisture (along with the Triple Heater/ San Jiao) to all the extremities and body tissues. Each time you sweat from exercise, you have effectively generated enough heat in your body that you need to open the windows (the pores) for some of that heat to escape, escorted out by fluids (sweat). Now you can see that each time you do this during the fall, a time of year where you are not getting much, if any heat from your environment, you are exasperating the Lungs, forcing them to open up the pores and release out all that heat and fluid they are trying to store, losing a lot of qi along with it, making it more difficult for your lungs to perform their other functions. This is exactly counter to what your Lungs want to be doing in the fall, which is conserving their moisture, warmth and qi, to keep you strong and prevent you from contracting a cold. This is very different from the summer, where the dominance of environmental heat means we are constantly needing to sweat to protect the Heart and Lungs from too much heat accumulating in the body. This is why in the summer, from a Chinese medical perspective, it is a good idea to do more vigorous exercise and activity that will keep you sweating often, purging out the excess heat, and along with it any potential toxins as well. By the time fall comes around, it is time to start conserving your body heat and fluids to nourish the organs through the cold of winter. I mentioned the Lungs receive fluids from the Stomach, The Lungs are then seen as responsible for the distribution of those fluids to all the other tissues of the body, including those of its Metal element pair, the Large Intestine. If the Lungs are not able to maintain proper moisturization, they will not have sufficient fluids to spread to other tissues, potentially leading to dry skin, chapped lips, dry sensory orifices, or dry Large Intestine, which as you might imagine could produce some difficulty with elimination. This is yet another reason it is important to conserve the Lungs qi, heat and fluids in the autumn. 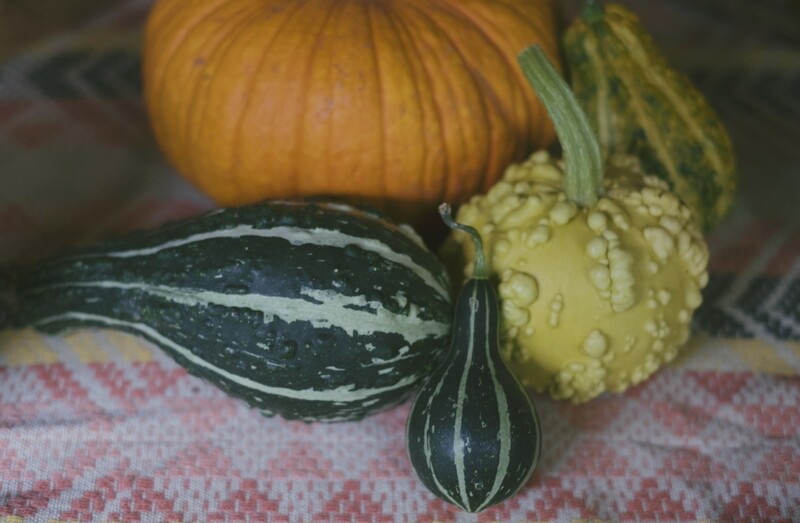 This is considered preventative medicine from a lifestyle approach, and you can also see that keeping adequate levels of hydration in the autumn is just as important as any of the other seasons. Another preventative measure during the shift of seasons is to be sure the areas of the body that Chinese medicine term “wind gates” are covered and protected from the elements. In Chinese medicine “wind” is a metaphor for energy that brings change, but wind can also literally afflict the body when it comes in contact with it, especially if the wind is excessive and mixed with cold or heat. As the winds of fall bring dry and cold climatic and energetic changes to our environment and our bodies, there are these particular areas of our bodies that are especially vulnerable to invasion from exterior wind, and as such it is recommended that these wind gates be kept covered, warm and protected from the wind. These areas are the back of the neck, the wrists and ankles. Simply being sure these areas are covered when you go out on a crisp windy autumn day could make the difference of you contracting a cold later that night or not! The Sage’s Kitchen - Eating with the season from an energetic perspective. Baked sweet potato - eat the skin! 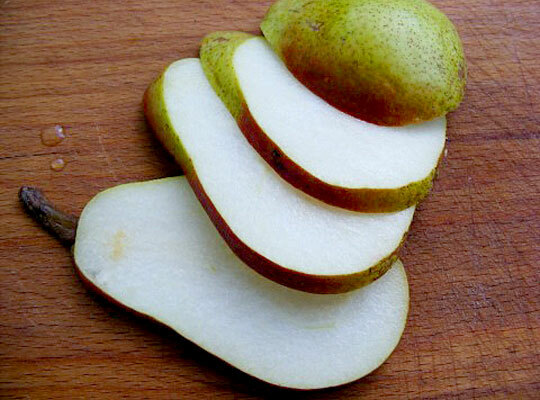 Apple or pear slices (fresh, dried, baked or sauced) - eat the skin! Squashes -butternut, acorn, winter, pumpkin, etc. Root veggies -carrots, beets, sweet potatoes, etc. Other Veggies -broccoli, cauliflower, cabbage, Swiss chard, etc. Sit comfortably with your spine straight and shoulders relaxed. Close your eyes most of the way, and gaze toward the tip of your nose with a soft focus. Become more aware of your breathing and where in your body moves with each inhale and exhale. Gradually let your breath become slow, smooth, soft, fine and even through your nose. Focus on the sensation of its movement through your respiratory tract, filling your lungs, and moving your diaphragm. Then, visualize the air you inhale and exhale as shining white-gold light that fills your lungs completely, cleansing and strengthening them. If you feel your lungs contain impurities, breathe the light out through your mouth, visualizing toxic particulates and energy releasing and recycling into the environment. Practice can be for as long as you like. Autumn is a great time to begin or get deeper into your qigong practice. As the seasonal energy begs us to slow down and do less intense exercise, practicing qigong is a great way to keep fit and give the lungs the energy and gentle stimulation they need to thrive this time of year. Qigong improves circulation and boosts immunity while keeping your muscles toned and internal organs well regulated. In autumn, avoid practicing qigong in windy places or while you are sweating. Here is a qigong to practice this fall specifically to support the Lungs and Large Intestine. Stand with your feet shoulder width apart, with your arms by your side. Allow your tailbone to sink down and tuck under slightly, so you feel like you are going to sit down. Stand like this for a short while and focus on your breathing. Allow your diaphragm to fully descend with each breath, meaning as you inhale, let your abdominal muscles relax and your belly “fill with the breath”. When you feel ready, as you inhale, let your arms rise by your sides to above your head, palms facing up, with the hands slightly cupped. As you exhale, bring your palms down, with the thumb and index finger spread wide (stimulating the Lung and Large Intestine Channels). As the hands pass your face palms down, the fingertips are pointing towards each other in front of you, and the thumbs are extended open, and appear to be pointing towards your back. This is the same as the hands pass your chest and abdomen. As the hands come all the way down, they arc to rise at your sides again, palms up and cupped to above your head where they then move down again as you exhale. Repeat as many times and as often as you like. Tight upper back, neck and head ache? Scratchy throat? Sniffly nose? Looks like you’re catching a cold! 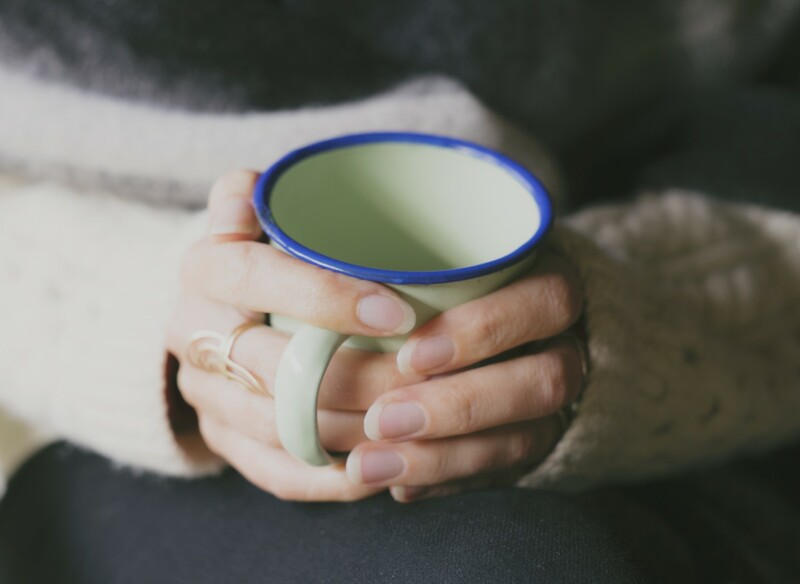 Here are a few home remedies that can ward off that cold and prevent you from falling under the weather for days or weeks. Miso Soup with scallions, and ginger. 1 cup water, 1 tbsp. miso paste, 1 tbsp. minced scallions, 1 tbsp. minced ginger. Simmer for 15 minutes and drink hot while bundled up under blankets until you break a sweat (opposite what you normally want the body to do this time of year! -read above in Seasonal Physiology section). Relax for at least 1 day drinking warm water and the following tea. For 90% of people this will “cure” their cold if they do it within the first 1-2 days of symptoms. Basic tea - 100z. hot water, 1 tbsp. fresh ginger, 1 tbsp. honey and 1 tbsp. cinnamon. Drink 3x/day along with plenty of warm water.